The mesmerizing Bangkok skyline vies for attention from guests, competing only with the couple of the moment to steal the limelight at Park Society. 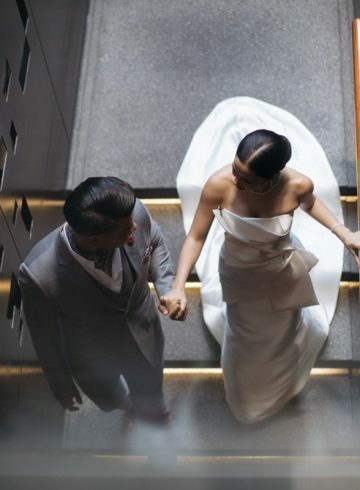 Perched atop the hotel on the 29th floor, the glass-enclosed restaurant offers the bride and groom the opportunity to work alongside the restaurant’s award-winning F&B team to create a personalized menu. The attached open-air terrace is ideal for a pre- or post-celebration over cocktails, canapés, and live performances at the romantic rooftop wedding hotel in Bangkok.